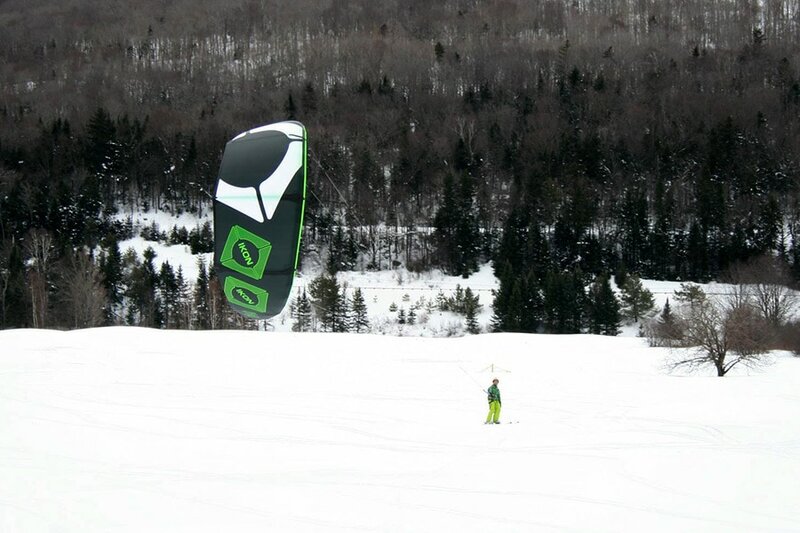 In the IMCS Independent course, you are now going to learn the skills to possibly be able to go out on your own with confidence as well as safe and sound snow kite techniques. Some topics in this course are understanding the Right of Way Rules, Controlled riding skills both down wind and up wind, and of course learning how to run the whole gamut of riding skills; Launching the kite, Riding with and with out the kite, and then stopping with and without the kite and of course how to take down and pack the kite and all the snow kiting gear properly for safe storage. The next set of skills that we may go over in the Independent course, are transitions and jumping. The Independent course can also, depending on the student’s ability, go into a coaching like setting with technical direction transitions (jumps) as well as more aggressive freestyle tricks. The possibilities are up to the student and the instructors goals for the day.